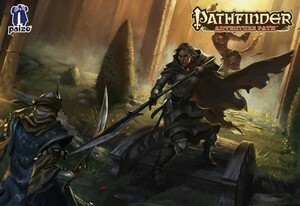 The "In hell's bright shadow" SoundPack gives you the complete audio solution when playing the first chapter of Pathfinder's Hell's Rebels Adventure Path. All the preparation is done for you, and every sound you'll need is right at your fingertips. The city of Kintargo has long been a safe haven for artists, freethinkers, and those marginalized by the oppressive Chelish government, but now the city has been placed under martial law by inquisitor Barzillai Thrune. When a protest turns into a riot, a new group of heroes comes together to form an organized resistance against the devil-binding government and the church of Asmodeus—but can they survive long enough to establish allies? Or will they become the latest victims of the Thrice-Damned House of Thrune? If you enjoy the prospect of standing up to the forces of darkness, organizing underground rebellion and spurning the devil then "In Hell's Bright Shadow" might just be for you and now with the amazing rich accompaniment of Syrinscape there are even more reasons to play this module. Is this Pathfinder Adventure Path SoundPack useful when I'm not running a Pathfinder Adventure? This SoundPack includes samples recorded by Pathfinder fans and players at both PaizoCon 2015 and GenCon 2015. Syrinscape thanks you and praises you for your spectacularly and slightly disturbing contributions! Orchestral Music provided by Kyle Johnson of www.moontechstudios.com and Michael Gordon Shapiro of www.mikemusic.com. Pathfinder Adventure Path: Hell's Rebels, In hell's bright shadow © 2015. Paizo Inc., the Paizo golem logo, Pathfinder, and Pathfinder Adventure Path are trademarks of Paizo Inc. Author: James Jacobs. SoundSet © 2015. Sounds created under license with Paizo Inc.